Each of the 12 bends is an identical profile. 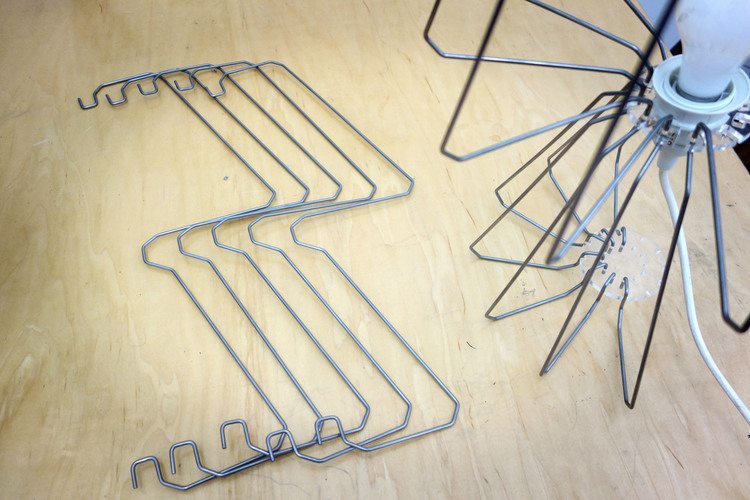 The bottom of each bend is held in place by a laser cut slot / hole joint. The tops are held in place in the same way. 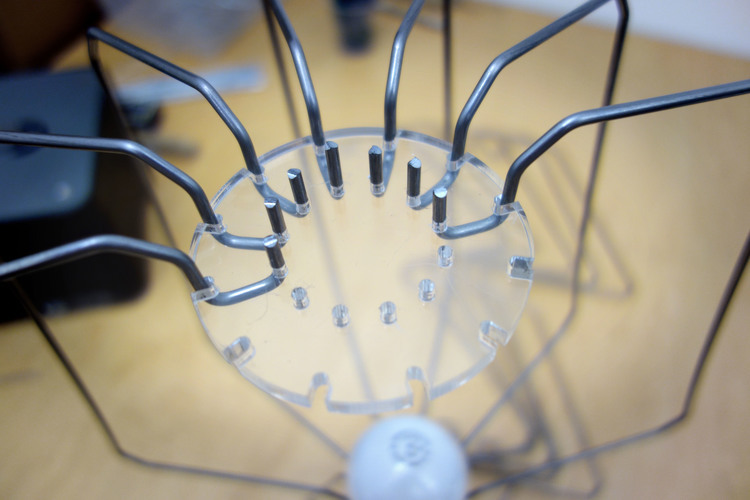 J-slots in the center-piece hold the assembly in tension and mount the bulb socket. TOOLS: Wire Cutter, Bulb Socket, 3 Laser Cut Acrylic Pieces.